As it is planned to make an official full time video about building a spaceship from start to finish, we wanted to give a chance to the Spaceship Designers in the Community of seeing their design coming to life in an official Novaquark video. For those who would be interested to see their "home made" spaceship design (it musn't be inspired from an already existing Sci-Fi universe or game) to serve as a model in this video, please submit your Spaceship design images to video@novaquark.com . 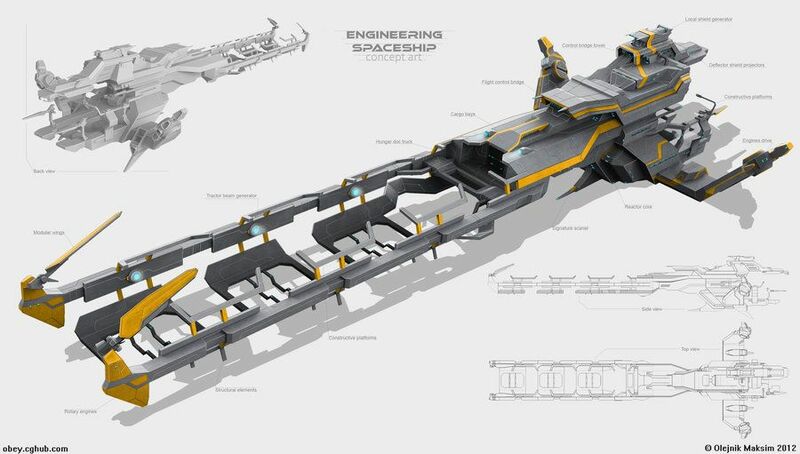 Of course, you don't necessarily need to have access to the game to submit your Spaceship Design! - It should be 2D visual assets, showing the Spaceship Design from different angles (example: front, rear, profile, above, under, perspective in a 3D isometric way). - No Spaceship design essentially described by a written text.